Hydrographic survey and diving equipment specialists, Unique Group, has selected subsea vehicle positioning and navigation technology from Sonardyne International Ltd, to add to its expanding equipment rental pool. The SPRINT Inertial Navigation Systems (INS) and Syrinx Doppler Velocity Logs (DVLs) will be held at the company’s regional headquarters in Aberdeen and made available to support survey and construction projects using ROVs and AUVs in water depths up to 4,000 metres. Introduced onto the market over 10 years ago, Sonardyne’s SPRINT makes optimal use of acoustic aiding from data sources including USBL, LBL and DVL and pressure sensors to improve the accuracy, precision, reliability of subsea vehicle positioning. Unique will be one of the first rental companies to own Sonardyne’s recently launched third generation SPRINT which features dual outputs to support Survey and ROV teams, a small titanium housing and upgradeable performance levels to suit users’ operational requirements. 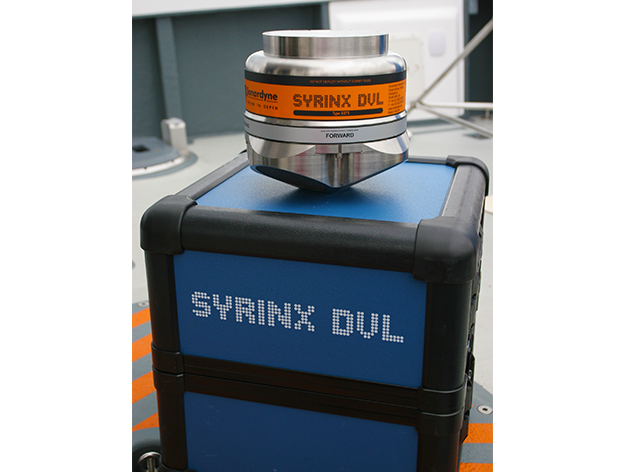 Sonardyne’s Syrinx DVL provides tight beam-level aiding to SPRINT INS allowing for unprecedented positioning performance, even if one or two DVL beams are unavailable. As a standalone instrument, fully linear signal processing, low noise electronics and adaptive bottom lock, enables Syrinx to operate at altitudes up to 50 percent higher than conventional 600 kHz DVLs with the high resolution performance of a 1200 kHz DVL, all whilst navigating over undulating and challenging terrain of any type. To complement their SPRINTs, Unique has selected 4,000 metre rated Syrinx DVLs which can be mechanically mated with 3rd generation SPRINTs to make installation on vehicles straightforward, an important consideration when equipment is being mobilised for short term projects.